Commercial Insurance with JK South Insurance Inc. | JK South Insurance Inc.
Commercial Insurance with JK South Insurance Inc.
Any business should want to thrive even when it encounters unforeseen circumstances such as liability, theft, property damage, injury to an employee, or interruption of business. JK South Insurance Inc. is here to ensure your business can continue even after an incident. Our team of agents can work with you to develop a commercial insurance policy that makes sure you are protected from the financial dangers that can threaten your business. Florida does not require businesses to have a general liability insurance. However, as a litigious state, it would be wise if every business owner would fully protect their businesses by purchasing a commercial liability insurance coverage. Every business should ensure that every employee or visitor is safe. However, we understand that no matter how safety conscience your company is, accidents are bound to happen. Florida liability coverage will protect your business from losses that may be caused by company products, injury, or employee negligence. Commercial property insurance aims at protecting business premises and their contents. When a business' property such as inventory and equipment is stolen or lost a commercial property insurance policy can help with replacement and compensation. Therefore, selecting an insurance company that is eager to keep its word is necessary towards salvaging your business when calamity strikes. 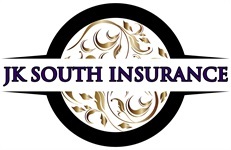 JK South Insurance Inc. is here to ensure you do not suffer. Flooding is now a common thing in the United States. For any business to stand the test of time, business owners need to be prepared to handle natural disasters. By having a flood insurance policy, you will be on the safe side, and whenever floods occur, you will not suffer a huge loss. JK South Insurance Inc. is here for you every step of the way; you are covered should flooding occur in your area. Contact us today and get a quote or visit our offices and let our team of experts guide you through the process.